THE CACHE IS NOT ON THE SIGN !!. 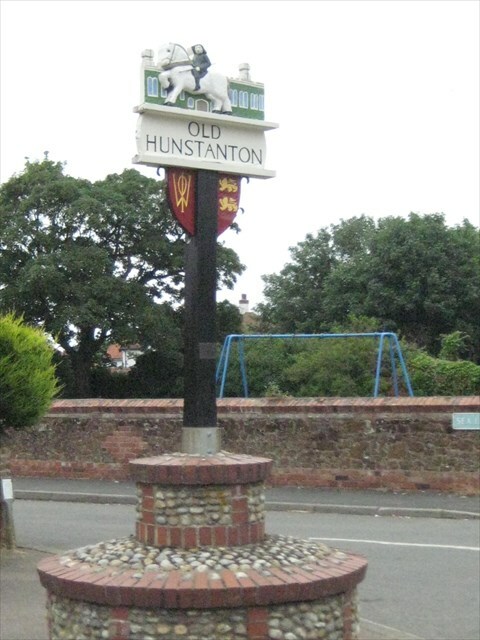 Old Hunstanton is a village and civil parish in the English county of Norfolk. It covers an area of 5.35 km2 (2.07 sq mi) and had a population of 47 in 25 households as of the 2001 census. For the purposes of local government, it falls within the district of North Norfolk. 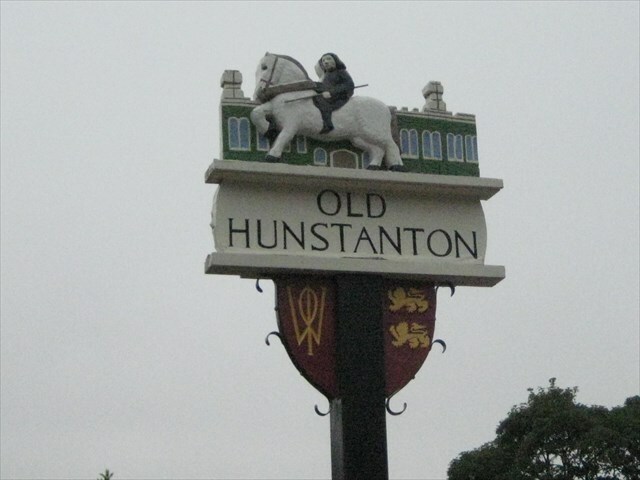 This small settlement adjoins to the north of the larger resort of Hunstanton. The quiet character of Old Hunstanton remains distinct from and complements that of its busy sibling, with clifftop walks past a disused lighthouse and the ruins of St. Edmund's Chapel, built in 1272. The River Hun runs to the coast just to the east of old Hunstanton. At Old Hunstanton is a RNLI Lifeboat station with a B class (Atlantic) boat and a Hovercraft. In December 2011 a large whale washed ashore on the beach.